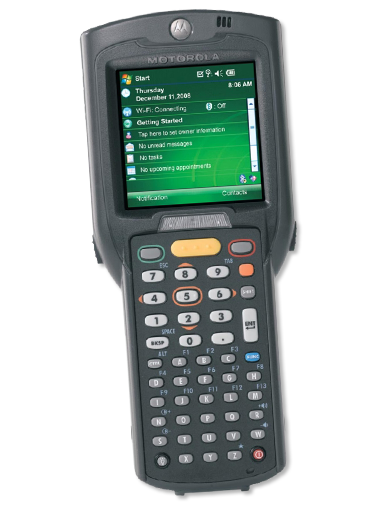 The rugged wireless MC3190 is at home in the retail store and warehouse aisles, on the loading dock and out in the yard. Leveraging Motorola’s new mobility platform, the MC3190 offers advanced computing power, industry-leading data capture capabilities and superior ergonomics. Contact us today about buying, servicing, renting or selling MC3190 gear! In addition to the processing power and memory required to support advanced applications, the MC3190 also offers the latest in mobile technology and security. An integrated RFID tag automates asset tracking, allowing enterprises to track and locate MC3190 devices right out the box. An integrated accelerometer enables leading edge motion-based applications that improve power management and more. Robust security features protect sensitive data. Compatibility with the existing MC3190 accessories ecosystem enables organizations to upgrade to the latest in technology, while preserving the existing accessory investment. The result is a robust affordable device that will help retailers, government agencies and distribution centers streamline and error-proof business processes, improving employee productivity as well as customer service and satisfaction.Contact us today about buying, servicing, renting or selling MC3190 gear!